Hello ... Hello ... my old friends ... It's great to see you once again! Yours Truly KJS has had the pleasure of seeing and hearing Groucutt & Haynes on not a few occasions now. The last time was last month at The Robin 2 in Bilston when they were sandwiched on the bill between the fab Fay & Latta and the marvellous headlining Beatles Blues and Blue Violin Project Project. Groucutt & Haynes produced a great performance of some half a dozen songs on that Sunday night which showcased their current album "Another Good Reason" and also gave the audience an insight into their forthcoming second release. I must admit that this article is somewhat overdue because I promised Rob and Dan a while back that I would get a hold of their CD for an ELO Beatles Forever [ELOBF] article. So here it is folks! 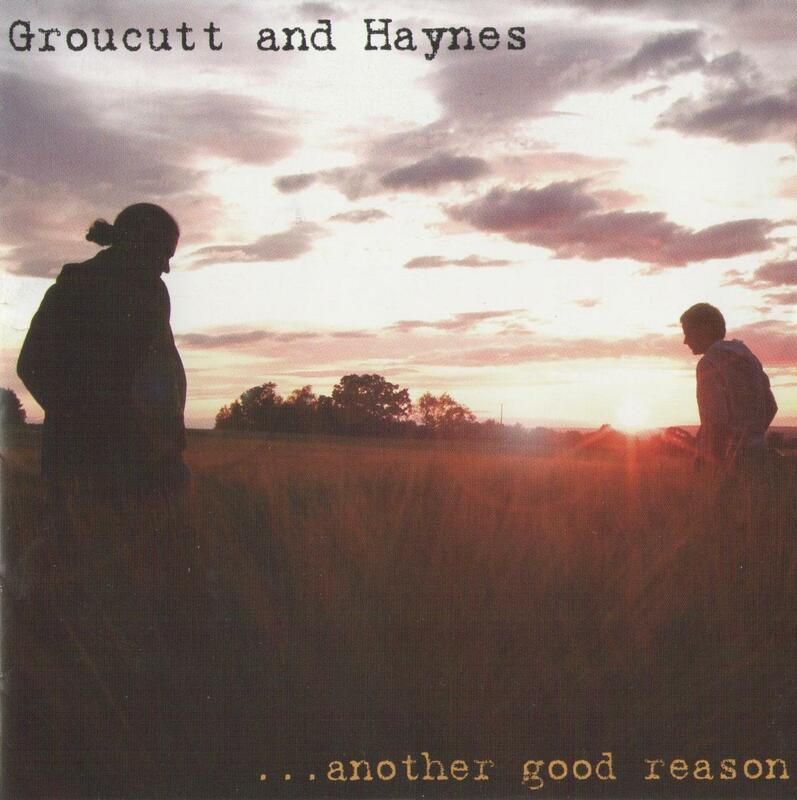 "Another Good Reason" is a collection of songs by Rob Groucutt and Dan Haynes that consists of twelve sweet "folksy bluesy" tracks which are: "Stung"; "Happy"; "You Come Alive"; "High On The Time"; "Rain"; "Living For Now"; "You Alone"; "Drowning In Luck"; "Lullaby"; "Home Time Tide"; "23 Tomorrow"; "Knock On My Door"
The whole album is reminiscent [to this writer] of Simon and Garfunkel with a hint of James Taylor. If this album had been released on vinyl; side one [tracks #1 to #6] would be the ultimate chill-out LP side! All the compositions on here display a maturity and individuality that should appeal to the record buying public. But if I had to select an absolute favourite, that would be the recent single "Rain". There are some nice saxophone and flute pieces [as well as backing vocals] by Carrie Pickering to be found inside this album too. And those of us who remember the song writing, the vocal talent and the superb guitar work of Rob's much-missed father Kelly Groucutt will doubtless appreciate his legacy that lives on through this talented duo. Indeed; I like these nice words that are to be found within the CD sleeve "This album is dedicated in memory of Kelly Groucutt - West Bishes x". That just about says it all for me! ELO Beatles Forever [ELOBF] recommends "Another Good Reason" by Groucutt & Haynes to those enlightened folks who enjoy the music of ELO, Jeff Lynne, Roy Wood, The Move, The Idle Race, 'Brum Beat', The Beatles and related artistes. Sounds a great buy and well worth a spin!! cheers for the thumbs up! All Over The World ... Again!